The best home decorating in the world can look like the worst without the right lighting. Task lighting is more than a few lamps; it helps to set mood, create style and most of all gives you the right amount of task lighting so you don't strain your eyes. From making your own lamps to knowing the right wattage for your rooms, lighting is important. 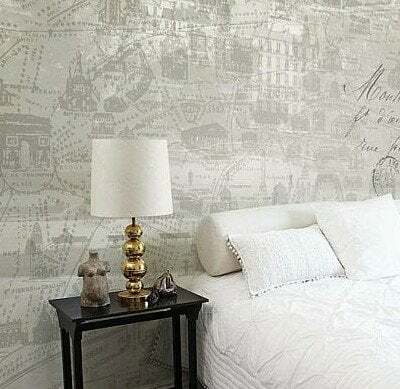 Marilyn Crain is an interior design writer for Arcadian Home, home decor internet retailer, who specializes in quality lighting, home decor and furniture. In the article below Marilyn shares her experiences in the interior design world, her love of textiles, where she gets her inspiration and her number one tip for choosing her lighting. 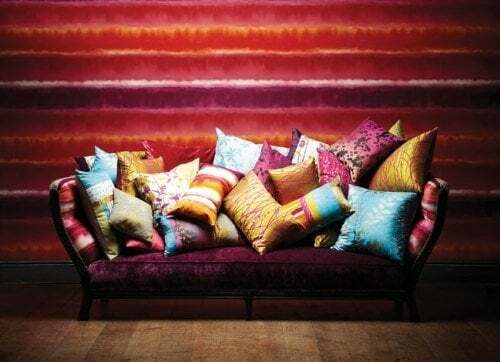 For most of my life I worked supporting higher education and healthcare, while devoting every spare moment to my ever evolving interior and outdoor spaces and my many design projects that included any and everything using textiles. I especially loved creating quilts, wall hangings and soft sculpture art dolls. 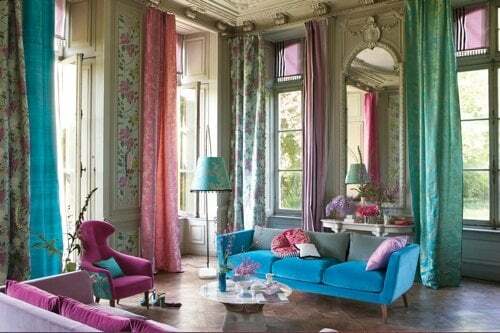 Now I have the unbelievable opportunity to get up every morning to research and write about all things interior design--lighting, furniture and textiles, along with wall, window and floor coverings in all their glorious colors, textures, shapes and forms. 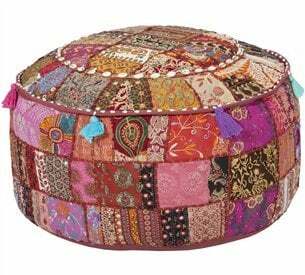 What a fortunate girl am I.
I would say my love of decorating began with textiles and their endless textures and glorious colors. I tackled my first sewing project when I was six and never looked back. Even at that early age, my stash of fabrics and linens grew quickly. What I was obsessed with were grain sacks and flour sacks and my extended family fueled that need to collect. Isn't it amazing that those are still trending today? Simply put, I love what I do and wake up with a sense of wonder that I actually have the opportunity to pursue my passion. For me, when choosing lighting (and furniture and decorative accessories, too) the most important thing is to select only pieces that make me smile--literally designs I want to live with day after day and often, year after year. This means the latest trend in lighting might not be my choice--unless of course it speaks to me. Sometimes a lamp, pendant light or pair of wall sconces may simply insist on following me home. Light fixtures, whether room lighting or task lighting, should fit seamlessly into a space and do their job well. 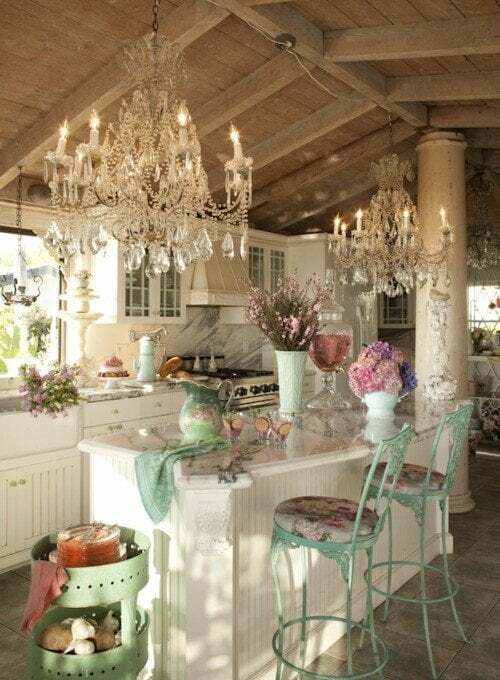 Even glamorous chandeliers in all their beauty should feel as if they belong in their surroundings. In addition to basic lighting knowledge (ie how much sunlight is in the room already, where the windows are placed, paint color etc) Arcadian Home focuses on interesting shapes and energy efficient lights that blend in with the client's design. Focusing on new lighting sources that have better light output using less electricity is always in the back of our minds. Should You Plan Your Lighting Fixtures At The Beginning or End of Home Decorating? It depends--lighting is an integral part of an interior design plan, but sometimes a particular lighting fixture can inspire the entire design or be a last minute finishing touch that makes the room truly special. As I mentioned earlier, how I "feel" about a piece is of utmost importance to me, but that emotional response can come from brilliant color, a lovely shape or the play of light from a light fixture. 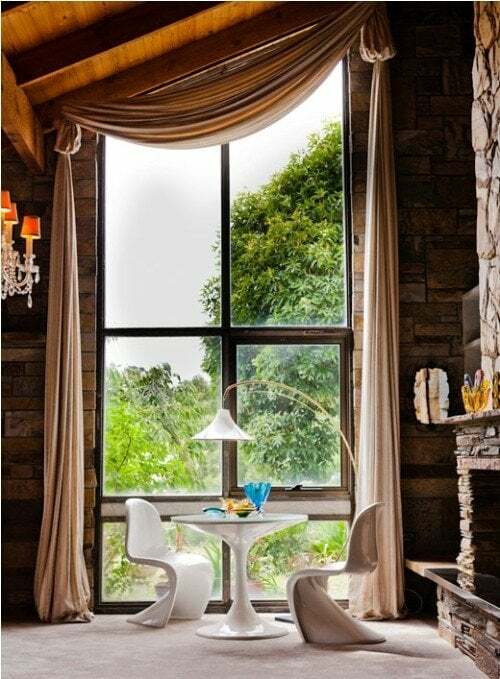 I am continually inspired by the amazing creativity and passion of those in the world of interior design. I love exploring magazines (both paper and digital) and the many lovely decorating and design blogs that populate the virtual world that allows us to interact with design enthusiasts from around the world. Each of us has our very own unique balancing act. I just work every day to keep things going. My life is deadline driven, so I work on what is most urgent. When a crisis strikes, the life rule I try to remember has nothing to do with interiors, but it works for me--if no one is bleeding, all is well--and I just move forward. For more lighting ideas go to Arcadian Home, or read our articles Lighting Tips - How to Get the Best from Your Task Lighting and Decorating Tricks Using Task Lighting. 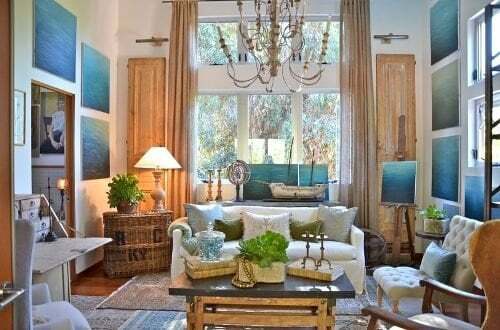 To get more high impact, low-cost decorating ideas first sign up for our Newsletter here starting with 42 Interior Design Secret Series and then head over to our Facebook page for more design ideas! I love Marilyn's style. It is so classy and sophisticated. There are some level of design expertise which you can see on her works. 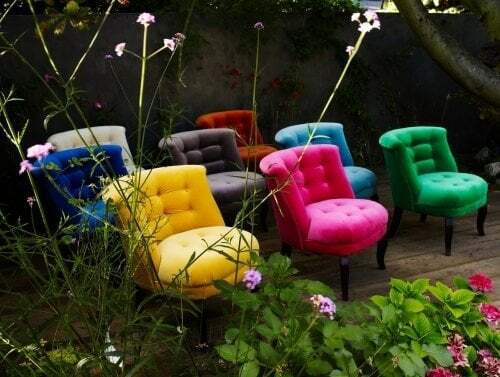 Love the colorful velvet chairs! They certainly add a pop of color to any home.